The casino at Coventry's Ricoh Arena is to see a £1m revamp after being sold. The casino was bought by UK firm Grosvenor Casinos in a £650,000 deal, two months after Isle of Capri Casinos said it would pull out of the site. 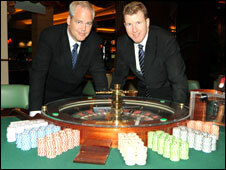 The Isle of Capri casino opened in 2007 as part of the £113m Ricoh Arena.